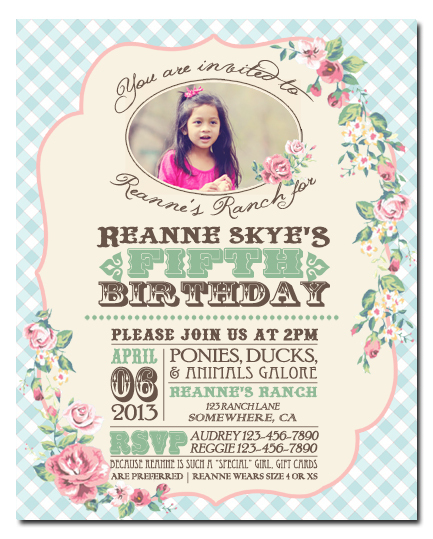 I helped a good friend of mine plan her daughter’s 5th birthday party and since her daughter wanted a farm animal petting zoo and pony rides, this cottage theme would work perfectly! I just love the mix of shabby gingham with the roses and the western mix of fonts! I didn’t want to do a pony party, barnyard party or a cowgirl party because I’ve seen it done so many times. 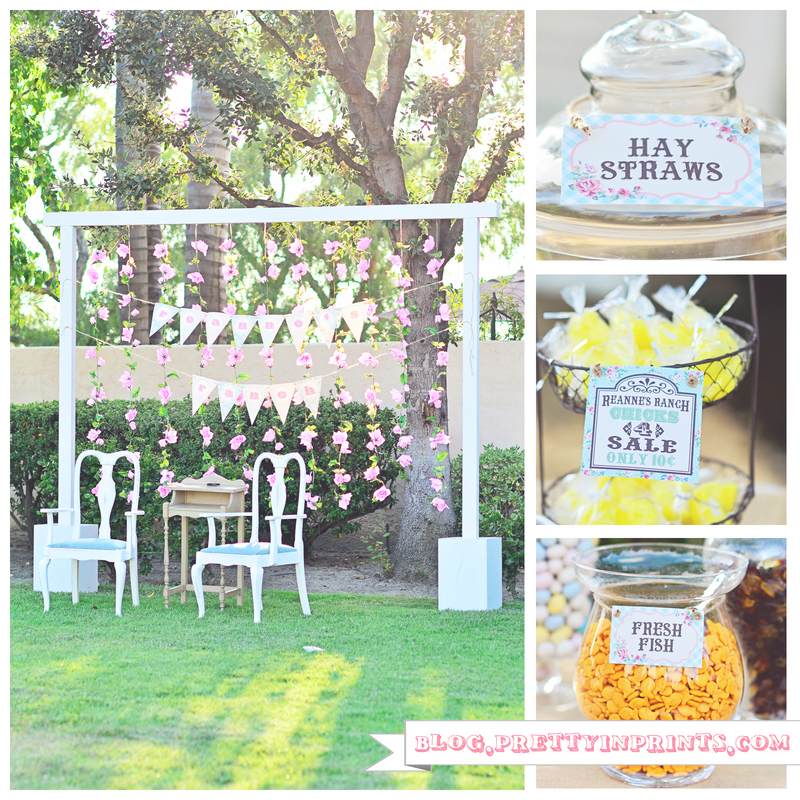 This theme would also be great for a bridal shower, baby shower, tea party, etc. 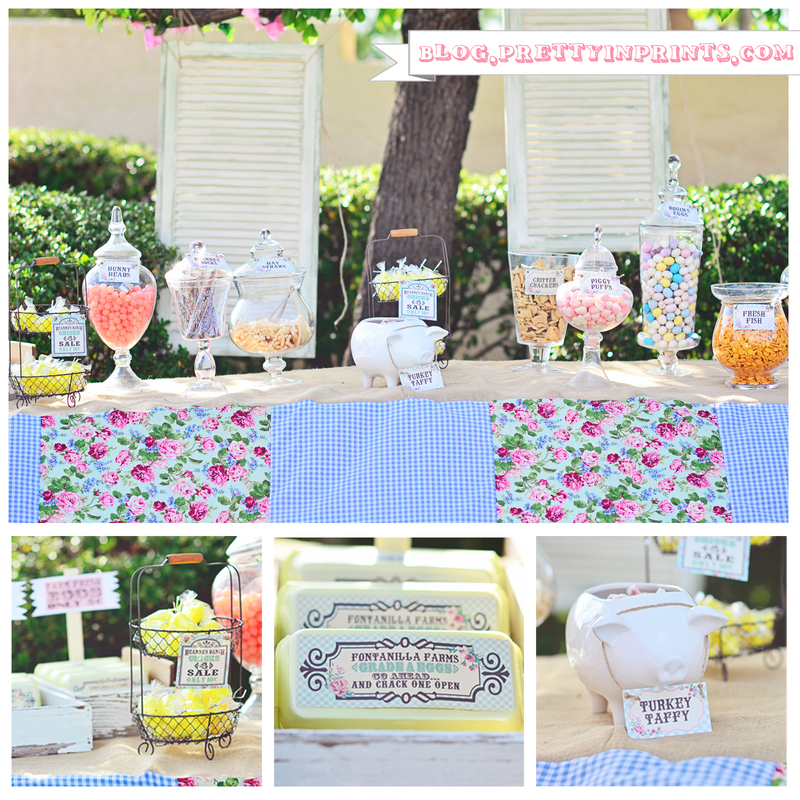 I can customize the candy labels to your specific needs and the birthday banner can be downloaded for free in my shop! *Budget Friendly Tip: When you’re planning a party, try and pick theme that is related any holidays that occur around the same time of year, and pick a party date AFTER the holiday (even if that means having the birthday a couple of weeks early or even late). For example, for this Shabby Cottage theme, the party date was a week after Easter. I was able to pick up Peeps Chicks and crates of chocolate marshmallow eggs (in the cute Styrofoam egg containers) from Wal-Mart for 75% off the original price. This was a big money saver because bulk candy can be so expensive! I probably would have had a tough time trying to find Peeps any other time of the year. Also, check the expiration date when you purchase clearance candy. Most candy, when stored properly, will last over a year! We also used Gold Fish and Animal Crackers in keeping with the theme because who says you have to stick to candy for a treat station? Pretzels and potato chips are also good choices for “fillers” at a treat station. Everyone loves that sweet & salty combination, right? Instead of using a physical photo booth for pictures, we opted for doing a “studio style” photobooth, where all we needed to set up was the backdrop, some chairs, a camera on a tripod and a wireless remote for the camera.